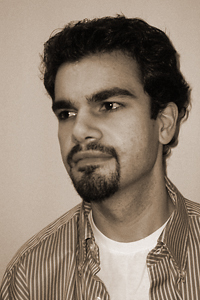 Ross Losapio, lead associate editor, is a second-year MFA student in poetry at Virginia Commonwealth University. His poems appear in or are forthcoming from Copper Nickel; The Emerson Review; Italian Americana; Milk Money; the minnesota review; Naugatuck River Review; Off Line (South Mountain–Watchung Poets, Inc., 2010), an anthology of New Jersey poets; and elsewhere. He has also self-published a chapbook of poems titled The Measure of Healing. His reviews have appeared in Rattle and Verse Wisconsin. He holds a BA in writing and English from Loyola University Maryland.